Colin Thomas is a Character Artist who’s currently based in Los Angeles (US). He’s got more than six year’s worth of experience working as an artist in the entertainment industry, and has worked as a freelancer as well as in-house at various studios. He has contributed high-end models for cinematic trailers as well as in-game use. He has been working at Naughty Dog as a Senior Character Artist for nearly three years. 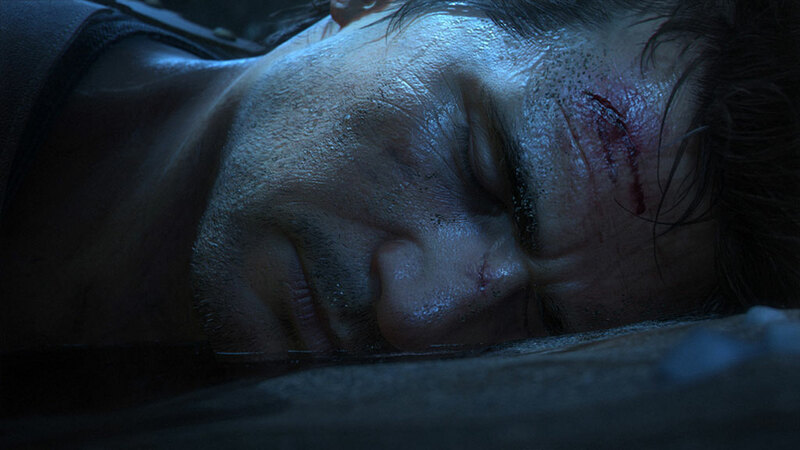 During his time at Naughty Dog, he collaborated with Frank Tzeng and Yibing Jiang to revise Nathan Drake’s character for Uncharted 4: A Thief’s End. Where do I start? It has been quite a journey so far. I was born and raised in Jamaica, moved to the United States of America at the age of twelve. Growing up, I was inspired by all the anime, and video-games that I was taking in at the time. At the time, I wanted to make art more than anything else. I drew a lot during those times but I found that I enjoyed sculpting the most. Throughout high school, I taught myself Autodesk Maya, and learned as much as I could. By the time I went to college, I realized that all those years I spent learning 3D in high school had allowed me to see that college wouldn’t teach me much more than what I was already getting from the forums i frequented at the time. Eventually, I dropped out. I think that it was the best option for me, and shortly after, I landed my first job at Insomniac Games as a Junior Character Artist. Now, six years later I am a Senior Character Artist at Naughty Dog. Have you studied art at any point throughout the years of experience you’ve had in the industry, and do you believe that it is necessary to do so? I’ve studied, and continue to study art as it is a never ending journey. I do a lot of sculpts that never see the light of day, and that’s because they are there for me to learn from. I use a wide variety of different software, and it continues to expand as the more efficient ones are being released. In the industry, we have to use the most efficient tool available to us. 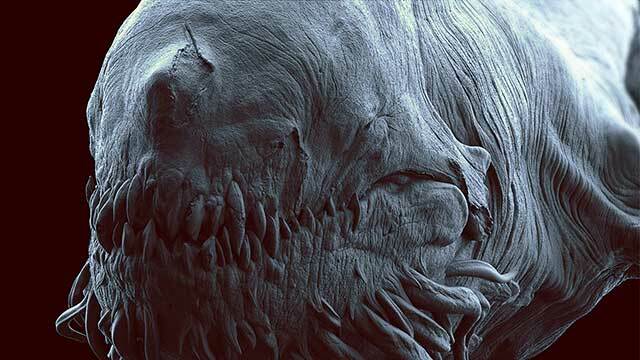 Currently that would be Zbrush, Mudbox, Maya, Substance Designer/Painter, Photoshop CC, and TopoGun. How has working with the team at Naughty Dog helped you to improve? It has helped me a lot, we are always learning and growing as artists, and with such amazingly skilled people on the team I’ve learned so much, every single one of them has taught me something in the past. If I find that I am at a standstill facing a problem that I am unable to solve, then it is easy to get help as everyone is very knowledgeable. The fact that everyone specializes in something allows us to deal with these kinds of problems. New ways of working are continuously being introduced, as is new software, what do you do in order to keep up? I simply use them and utilize them to fit my current work-flow. I have a saying that I am trying to live my life by more and more, “Evolve or die”. To me, that simply means adapt or you will be left behind. It’s as simple as that. How do you see Virtual Reality (VR) changing the landscape of the entertainment industry in the future? I can see Virtual Reality changing our lives in the future. We’ll find out if that’s for the best, perhaps not. However I am insanely optimistic about what Virtual Reality could bring to the entertainment industry, and not just for the end product. I think it could change the way we make things in a big way as well. I can’t wait! With the industry moving so fast, what types of work-flows and software do you see in use in the pipeline within the next ten years? Ten years is so far out, our industry will look so different. Everything will change, from how we go about creating things to the tools we use to create those things – It’ll all be different. Right now, it looks like Virtual Reality will be leading the charge. 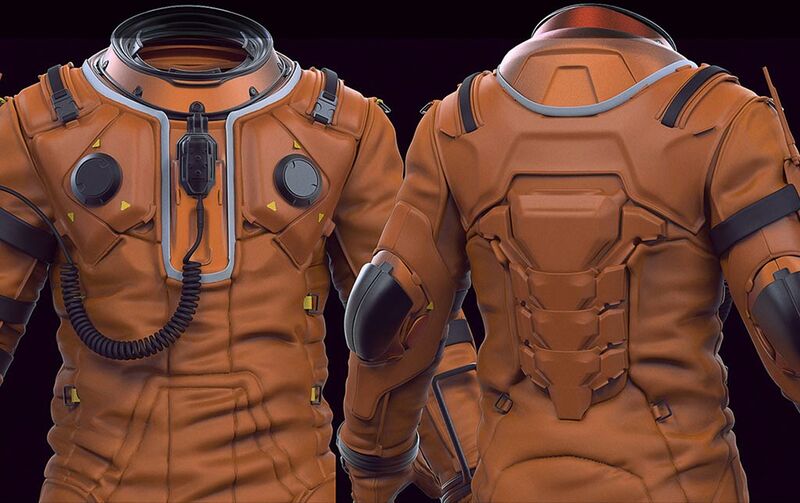 Not only do I see all our favorite software today being usable in Virtual Reality and Augmented Reality, but also software that allows us to create digital clothing and so forth. Scanning will also be even more prevalent. I can’t tell, It is too far out to know what software will even still be around, and which ones will be dominant. How have the capabilities of next-generation games consoles made you change the way you work on a video-game character? The shift from last-generation to current-generation games didn’t change too much for character artists, aside from learning PBR process, as well as the demand for more details. Not much has changed in our processes. We are still tasked with creating high-res models, and low-res models, from there we go on to bake textures and view in-game. Describe one of the challenges you and your team faced when working on a project at Naughty Dog, and tell us how you overcame it. One of the hardest things the entire team faced and continues to be is real-time hair. It is ridiculously hard to do that in video-games, and even harder to make it look good. It is definitely something that takes a lot of patience. Although, even I can’t tell exactly how we are doing certain things, a lot of the processes are pretty similar to others. We create hair cards and place them one by one, styling the hair as we go along. I can’t wait until someone fixes this problem. How did you go about transferring a legacy character like Nathan Drake from the previous game onto the new one? The Lead Character Artist, Frank Tzeng handled this task together with me, we had him updating Drake’s face, and me updating the clothing and accessories. It was a huge challenge to do that, especially with such a character as iconic as Nathan Drake. The trickiest part was the style, we wanted to keep parts of it. However, we were tasked with making it look more realistic. We got some feedback along the way and fine-tuned the look of it all based on that. Do you feel there’s more pressure when working with a well-established video-game series like Uncharted than there would be if you were working on something new? Absolutely, and that’s because of the fan-base. If the player doesn’t feel that the new Nathan Drake feels somewhat like the old one, then it can be devastating. Nathan Drake is who they’re looking for in the new game, and that’s what we want to give them! What are you hoping to achieve in the near future? I have a few things in the works at the moment, one of those things is my company, FOLDS IN TRIS. There, you can find an array of digital clothing assets for production. It is all a part of a much bigger thing, FORMS IN TRIS. That being the homepage for all things sculpting! Aside from that, I’ve got a whole lot more learning planned, and of course, a whole lot of art. © Colin Thomas or their respective copyright holder.